Kathy Reichs. Bones Never Lie. New York: Bantam Books, 2014. 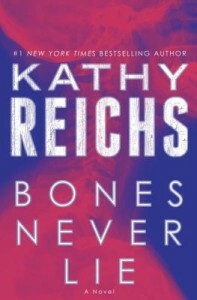 As Bones Never Lie opens, Temperance Brennan’s life is quite, if a bit lonely. She is teaching at UNC-Charlotte and her mother is fairly close by in a private psychiatric clinic in the mountains. Tempe misses her former partner Andrew Ryan, and is hurt at the way he took off to nurse his sorrow after his daughter’s death. Tempe doesn’t know if she’d want him back, but she is forced to find him when police in Vermont and Charlotte are confronted with murders that may be linked to crimes that Tempe and Ryan investigated in Montreal over a decade ago. Tempe is still haunted by images from a basement in Montreal where Anique Pomerleau tortured and starved several young girls. As the police were closing in, Pomerleau torched the building and escaped. Although Pomerleau was not captured, Montreal authorities had her DNA from an earlier arrest. Now her DNA has turned up on a corpse in Vermont and one in Charlotte. Detective Umpie Rodas from Vermont brings this information to the Charlotte-Mecklenburg Police Force the very week that another Charlotte girl–similar in age and appearance to the dead girls–goes missing. Both the CMPD and the State Bureau of Investigation are on the case, which will have some unexpected and unsettling twists and turns. Longtime readers will appreciate the way that Reichs fleshes out some of the lesser characters from earlier books, especially Skinny Sliddell and Tempe’s mother, Daisy. Readers who know Charlotte will particularly enjoy following Tempe through the city’s neighborhoods and streets. 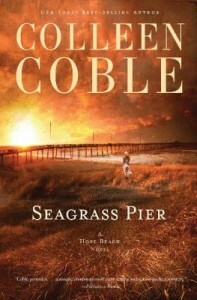 Colleen Coble. Seagrass Pier. Nashville, TN: Thomas Nelson, 2014. Elin Summerall is taking it easy after a life-saving heart transplant. However, her new heart seems to have other ideas. Elin is having violent dreams – dreams that are flashbacks to her donor’s murder. Elin can’t stand idly by and keep quiet about what she knows, which leads to unwanted attention from the press and unbelief from the authorities. Not to mention that the killer is now stalking Elin. Having lost her husband, Elin is living on her own with her young daughter and aging mother. After a break-in at her house, Elin decides it’s time to get away and takes off to Hope Island, on the North Carolina coast. The police are doubtful of Elin’s claims that she is having flashbacks to the murder of her donor, but one off-duty FBI agent, Marc Everton, is willing to try anything that may lead to solving this case. Marc’s best friend was murdered while investigating the case. When Marc finds out that Elin received the victim’s heart, he searches her out to get some answers. Captivatingly, Marc and Elin have a history – a history that catches up to Marc when he sees Elin’s five-year old daughter for the first time and realizes that she is his daughter as well. Elin kept his daughter from him for five years, but he doesn’t plan on missing out on any more of her life. Marc doesn’t know if he’ll ever be able to forgive Elin. However, Marc must put his feelings aside and solve this case so that he can keep Elin and their daughter safe. To do this, he’ll have to follow Elin to Hope Island. Marc lives with Elin and her family on Hope Island while they work together to discover what Elin knows that could lead to her donor’s killer. Living in such close proximity soon causes forgotten passions to rise between the two. Before long, Marc is faced with the option of stepping into a ready-made family, and Elin is hoping for the chance at a love-filled marriage. Nevertheless, someone doesn’t want them together–someone is seeking to silence Elin before she can reveal what she’s discovered. Marc and Elin are in a race against time to unearth the secrets held in Elin’s new heart. Will the couple unearth more than what they are looking for? Is Marc ready to forgive Elin and possibly gain more than just a cordial relationship with the mother of his child? Is Elin ready to take another chance on love? Seagrass Pier is the third novel in the Hope Beach series. Interested readers should consult our blog posts on the first two novels in the series, Tidewater Inn and Rosemary Cottage. Jodie Bailey. Quilted by Christmas. Nashville, TN: Abingdon Press, 2014. It has been twelve years. Twelve years since that fateful night when Taryn McKenna pushed Justin Callahan, her high school sweetheart, to take the next step in their relationship. Taryn hasn’t seen him since. Reeling from the breakup and guarding a secret that must never come to light, Taryn went off to school, but soon found herself back home and is now a teacher in fictional Hollings, North Carolina. Not too long before Christmas, Taryn finds her calm and quiet existence disrupted by Justin’s return from the army. But, he’s not back for a short visit; Justin has retired and come home to Hollings for good. Now, Justin’s words, “You’re needy. Manipulative. You used me,” are ringing in Taryn’s head once again. Moreover, not only does she have to face him in town, but Taryn’s Grandma Jemma has hired Justin to do some work around Jemma’s house. What is Taryn to do when her only haven has been invaded by a man she has done everything to forget? When Grandma Jemma is rushed to the hospital, Taryn must admit that it isn’t feeling a lot like Christmas, though this new event does show Taryn exactly the kind of man that Justin has grown into. Before her stint in the hospital, Grandma Jemma was working on a hand-stitched quilt as a wedding present for Taryn’s cousin. It is a tradition for a hand-stitched quilt containing an Irish chain to be made for every new McKenna bride. With Jemma in the hospital, it is Taryn’s duty to finish the quilt. Nevertheless, fate must be working against the McKenna’s because there is no way that Taryn will finish this quilt on her own. When Justin offers to commit his quilting skills to the cause, will Taryn be able to set her feelings aside? Even more importantly, will Taryn recognize the opportunities for healing that God is placing in front of her? 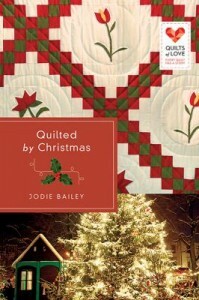 Quilted by Christmas is the twenty-second title in the Quilts of Love series. This series is made up of a multitude of books written by various authors to share their stories of “love and loss, hope and faith, tradition and new beginnings.” This is much like how a quilt is made up of many tiny stiches that are assembled together to tell a story. D. D. Ayres. Irresistible Force. New York: St. Martin’s Press, 2014. Officer James Cannon is on a mission to find his missing partner. Bogart, James’s partner, was kidnapped a month ago, and James has a lead on his location. Even knowing that going out on his own could land him in trouble, James can’t help but confront the kidnapper when he sees Bogart come running out of a cabin in Lake Gaston, North Carolina. Shay Appleton is a wounded woman. Dealing with an abusive ex who just doesn’t know how to let go has taken its toll on Shay. However, her adoption of a stray dog, Prince, and escape to a cabin at Lake Gaston have brightened her life – the fact that Prince will make a great watch dog is just an added bonus. This bright spot is threatened when Officer James Cannon, of the Charlotte-Mecklenburg Police Department, shows up claiming that Prince’s real name is Bogart and that he is a trained police K-9. Faced with this threat, that is more painful than the thought of her ever-present ex, Shay has no idea what to do. Shay’s reaction to losing Bogart touches James for some reason he can’t explain. When he realizes that Shay’s tale of Bogart being abandoned at a shelter is true, James decides to bring Bogart back for one night so that Shay can have time to say goodbye. James and Bogart walk into a scene that convinces James that Shay needs more than a guard dog. Shay’s abusive ex has found her and has shown himself willing and able to follow through with his threats. As James and Shay’s lives intertwine, it becomes clear that Shay has more to fear than just her ex. 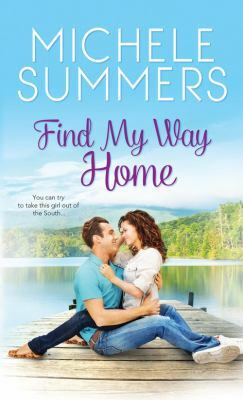 Also, James may have to confront his own personal fears when it begins to look like Shay has stolen more than just Bogart’s affection – she may just have stolen James’s heart as well. When sealed records from Shay’s past are unveiled, will Shay trust James with her story? Is James willing to risk his reputation within the police force to protect Shay? Irresistible Force is the first novel in a series about lawmen, their loyal K-9 partners, and the women they both fall for. Anola Pickett. 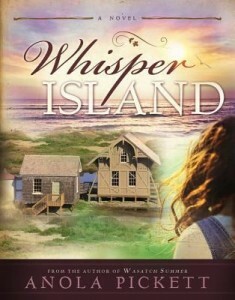 Whisper Island. Springville Utah: Sweetwater Books, 2013. Because her mother left when she was just three, Primmy Hopkins has grown up in a household of men. Miz Lucinda, a neighbor, helped raise Primmy, but now that Primmy is twelve she is expected to perform the traditional women’s chores in the house that she shares with her father and her two half-brothers. Cooking meals, doing the laundry, sweeping–all this falls on Primmy’s shoulders. But she doesn’t much like it, and she’s not very good at it either. Her father reminds her that these are skills she should develop so that she’ll be a good wife and mother, and that’s something that Primmy doesn’t want to hear. Primmy doesn’t want that life–she wants to be part of the U.S. Life Savers Service, like her father and her brother Jacob. But it’s 1913 and the Life Savers Service does not hire women. All the economic activity and much of the social life on the island are gender bound. Only when Primmy roams the beach with her pals Will and Emory does she feel free from the expectations of what she should do and should become. An invitation from her mother to visit her on the mainland makes it yet cleared to Primmy what she does not want her life to be, but it takes an unexpected storm to show her–and the men in her life–what she can do. Melissa Marr. Made for You. New York: Harper Teen, 2014. Eva Cooper-Tilling is the town darling of fictional Jessup, North Carolina. As the granddaughter of a prominent minster and a girl born into a family with wealth and status, Eva is very popular and above reproach to most of her peers. So, it is big news when Eva is the victim of a hit-and-run, and it’s even bigger news when evidence points to the accident being a deliberate act. While in the hospital, Eva refuses to see anyone but her closest friend Grace. But during her stay, Eva runs into her old friend Nate and the two are soon on their way to redeveloping their old friendship, but with new feelings. However, Nate and Eva’s renewed closeness only seems to make the would-be killer even more upset. The bodies of Eva’s peers start showing up with messages to Eva. A stalker-killer and amorous feelings for Nate aren’t all Eva is dealing with after the hit-and-run. Whenever someone touches Eva she receives a vision of their death. In order to avoid these flashes, she must initiate contact with the person before they touch her. Eva confides in Grace, who is skeptical, and in Nate, who believes her. When Eva realizes that the killer will continue to go after her peers to get his message across, she quickly decides to use her new ability to her advantage. Will she be able to discover the killer before he gets his hands on her? 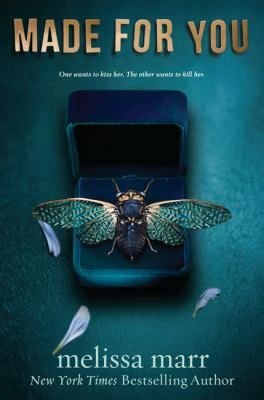 Throughout Made for You, readers are provided with insights into the mind of the killer, who thinks of himself as “Judge.” This tale is a great suspenseful thriller that will capture the minds of teenagers and older readers. Do you think you can figure out who the killer is before all is revealed? Charles Dodd White. A Shelter of Others. Peninsula, OH: Fiddleblack, 2014. As they came into the foothills and later the mountains, the trees nudged in closer, attending him, constricting the passage into some form he could reasonably suffer. So different than the unfamiliar world of the piedmont, a place that was crushed, dimensionless. Here there was a grip and hold, a country with legacies not easily slipped. So it seems to Mason Laws, returning to his home base in western North Carolina after a term in prison. His wife Lavada and aged father Sam are here, but Mason isn’t sure that he wants to resume his life with either of them. Lavada has been living with the old man, juggling her work in a dinner with the increasingly sad and frightening work of keeping Sam cared for and safe while his mind slips away. Mason choose first to bunk with his Cousin Ray-Ray rather than with Lavada and his father. Soon he gets work and a place to stay and the space he needs to reflect on his life. But Mason isn’t much for keeping his probation officer informed of his whereabouts. The resulting intrusion of law enforcement into Sam’s life, combined with Sam and Mason’s history and Lavada’s feelings of obligation to the two men, brings grief to the people in this taut, dark story. D. J. Molles. The Remaining. New York: Orbit, 2014. Lee Harden is a Special Forces operative trained for the day the unthinkable occurs – the day the government shuts down. At the moment Lee and his German shepherd Tango are in a steel-and-lead encased bunker, located in the central North Carolina countryside outside of Angier, awaiting orders from Colonel Frank Reid, the commander of Project Hometown. As a part of Project Hometown, Lee is one of the forty-eight “Coordinators” stationed in bunkers in each of the states across the Continental US. Whenever directed into their bunkers, the “Coordinators” hear from Colonel Frank at a designated time every day. If forty-eight hours pass without contact with command, then Lee is to open the box containing his mission brief – this is “…the predetermined contingency plan given to him directly from the Office of the Secretary of Homeland Security.” The box contains information on what the situation will be like at the designated thirty day period of resurfacing. On July 5th, forty-eight hours have gone by and Lee must open the box. A recording of Colonel Frank comes on outlining the impossible: Lee can tell by the sound of Colonel Frank’s voice, that he didn’t even believe what he was saying would come to pass. What the coordinators are dealing with is what scientists are calling Febrile Urocanic Reactive Yersinia or FURY for short. FURY is a plague and, since it is bacteria rather than virus, scientists are unsure of how it is spread. However, FURY has already shown “an extreme propensity for contagion,” and avoidance of contact with any infected person is advised. Early symptoms of infection are as simple as fever and overt salivation, but can also be as telling as the loss of some fine motor skills, and difficulty speaking. Once the plague progresses into illness stage, hyper-aggression and an insatiable appetite are most likely to take over, resulting in the infected feeding on their own limbs or anyone close-by. There is no cure for the infection at this time. Lee’s mission is to find survivors, protect them and work to re-institute order to the chaos that will have taken over at the fall of the American government. Once Lee accepts the reality of the situation, he still retains unbelief in the extreme picture depicted by the recording and ventures out. Lee soon discovers that the reality is as bad as it was said to be. Quickly working past his denial, Lee fights for his life, for Tango’s, and for the lives of the survivors he encounters. Soon, Lee has gathered a small group and is on the way to join a larger collection of survivors. Along the way, he must fight to protect his group from the infected, and also from those who have taken advantage of the fall of the government and seek to establish their own rule. The Remaining is the first novel in the popular series of the same title. 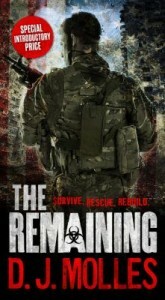 Follow Lee Harden as he works to complete his mission, and save what he can of the United States of America. Emilie Richards. No River Too Wide. Don Mills, Ontario: Harlequin Mira, 2014. Janine Stoddard has spent years of her life trying to please her abusive husband Rex. In the early years of their marriage, she thought he would change, but then Janine switched her behaviors to try to avoid his rage. Later she tried to draw his attention, in hopes of protecting their children from the brunt of his wrath. Now that both kids are out of Rex’s reach, Janine has been preparing for the day when she could make her escape. Tonight is the night! Rex has been gone for a while and it looks like he won’t be coming back this night. With the help of the group, Moving On – a collection of lady truckers who help women get out of these situations – Janine is ready to run. The plan is for Janine to go somewhere where Rex won’t be able to find her. However, Janine can’t resist the chance to make her way to Asheville, North Carolina to see her daughter Harmony and granddaughter Lottie. Once Harmony has her mother back, she isn’t ready to let her go. Janine is not too keen on giving up their relationship herself, so she agrees to stay, but first, they need a plan. Taylor Martin, a close friend of Janine’s, stumbles upon their reunion. Taylor offers to help Janine, just as Harmony helped Taylor’s mother when Taylor was unable to do so. Taylor opens her home to Janine, who has now taken on the name of Jan Seaton. Opening her home isn’t the only new adventure Taylor will be taking on. Another newcomer, Adam Pryor, will have Taylor opening up her heart as well. Nevertheless, Adam is keeping a secret that could destroy his and Taylor’s relationship, and tear apart Janine and Harmony’s mother-daughter reunion. Will Janine and Harmony be able to work on reconnecting with the threat of Rex still hanging over their heads? Will Adam share his secret in time or will he shatter all four of their lives? 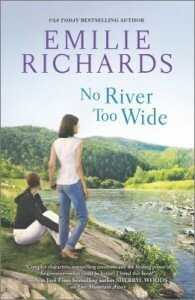 No River Too Wide is book three in the Goddesses Anonymous series – a series filled with tales of betrayal, love, and the hope of forgiveness. Michele Summers. Find My Way Home. Naperville, IL: Sourcebooks Casablanca, 2014. Just three weeks before interior designer Bertie Anderson is supposed to move from Harmony, North Carolina to a new job in Atlanta, Georgia, Keith Morgan appears looking for a designer to fix up the big Victorian he just bought. Getting the chance to work on this house has always been a dream of Bertie’s. She didn’t even know someone had bought the property. Staying in Harmony to do this renovation looks even sweeter when Francesca Balogh, Bertie’s surrogate aunt, offers Bertie a $150,000 bonus for getting the work done in three months. Bertie could use that money to help Dwelling Place – a charity that builds homes for those who cannot afford to do so on their own. Even though Bertie must turn down the Atlanta offer in order to complete this new job, she still plans to move out of Harmony when the Victorian house is finished. Bertie never expected to find herself falling in love with the owner, Keith, and his ten-year old daughter Maddie. Keith Morgan is a retired pro tennis player who has given up the fast-paced Miami life in order to provide his daughter, Maddie, with the best environment, which is how he ended up in the small town of Harmony. After the death of his wife in a car accident–she was driving drunk– Keith sought to lose himself in the fast life filled with partying and women. However, his mother’s sister, Francesca Balogh, threatened Keith with an ultimatum. Keith must straighten up for Maddie or Aunt Franny will fight for custody. Since Keith’s lifestyle choices have been plastered all over the media, Aunt Franny stands a good chance of winning a custody battle. Aunt Franny may have given Keith a kick-start, but he also wants what is best for Maddie and knew a change was needed. However, Aunt Franny takes it too far when she demands that Keith find a wife and mother for Maddie in three months. The whole town has heard the news and every lady in the town is after Keith. In travels to Raleigh, Keith believes that he has met the perfect mother for Maddie; Gail is sweet and loves children. So why can’t Keith keep his mind off of one seductively gorgeous interior designer? Keith has had the seductive, fashion forward type before in his first wife and he’s not looking to add a “Betty Boop” look-alike into the mix. Everyone in Harmony, including his own daughter, can see what a catch Bertie would be for Keith. Nevertheless, Keith denies it all, even when Bertie admits her love for him. Will Bertie be able to complete her dream renovation while feelings for her client burn unrequited? Does Keith have the sense to see the gift that is staring him in the face, or will he ruin his chance at the perfect family? Find My Way Home is the first novel in the Harmony Homecoming series. A series that is shaping up to be a look into how home definitely can prove to be where the heart is, in more ways than one.